Your morning coffee offers a little pick-me-up, now let your coffee spoon do the same! This sweet little coffee spoon is perfect for scooping your favorite coffee grounds (holds a heaping tablespoon) and stirring in your favorite creamer. 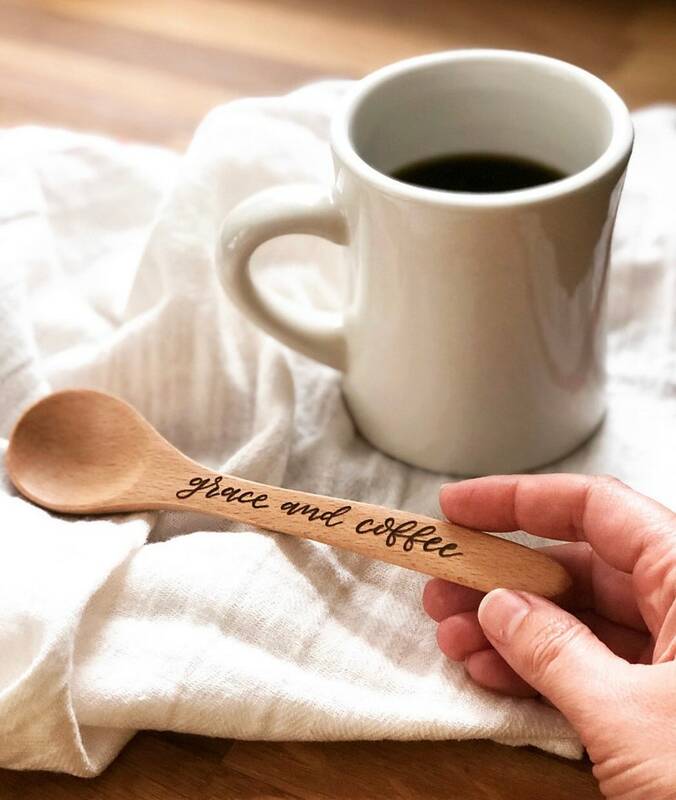 Each coffee spoon is lettered and wood burned by hand and made to order, so please allow for slight variations from the spoon shown in the photos. Made of solid beech wood and measures 7.25" in length.